Numerous textbooks for graduate and undergraduate instruction are authored by our Electrical and Computer Engineering Faculty. 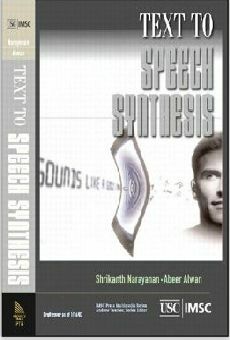 Text to Speech Synthesis: New Paradigms and Advances, Prentice Hall, NJ, 2004. 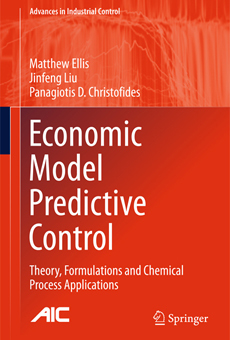 Economic Model Predictive Control: Theory, Formulations and Chemical Process Applications, Advances in Industrial Control Series, Springer-Verlag, London, England, 2016. An Introduction to Guide Waves and Microwave Circuits, Prentice Hall, 1998. Antenna Theory and Design, Wiley-IEEE Press, 2003. Discrete Circuit Optimization, Now Publishers, Inc., 2012. Active Antennas and Quasi-Optical Arrays, Wiley-IEEE Press, 1998. Electromagnetic Materials, Wiley-IEEE Press, 2005. Finite Element Software for Microwave Engineering, Wiley-Interscience, 1996. RF Technologies for Low Power Wireless Communications, Wiley-IEEE Press, 2001. Time-Domain Methods for Microwave Structures, Wiley-IEEE Press, 1998. InP HBTs Growth Processing and Applications, Artech House Publishers, 1995. Systems and Signals, Optimization Software, Inc., 1992. An Introduction to Atmospheric Radiation, Academic Press, 2002. 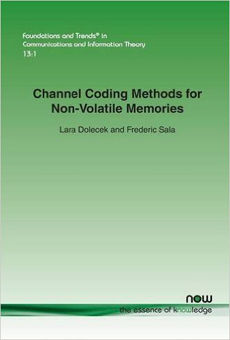 Digital Communications Using Chaos and Nonlinear Dynamics, Springer, 2010. 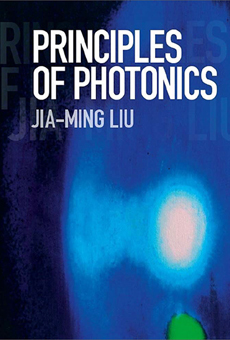 Photonic Devices, Cambridge Press, 2009. DSP Architecture Design Essentials, Springer, 2012. Geometric Level Set Methods, Springer, 2003. Level Set Methods and Dynamic Implicit Surfaces, Springer, 2003. Non-Destructive Optical Characterization Tools, VDM Verlag Dr. MÃ¼ 2008. Principles of Embedded Networked Systems Design, Cambridge Press, 2005. Advanced Computational Electromagnetic Methods and Applications, Artech House, 2015. Electromagnetic Band Gap Structures in Antenna Engineering, Cambridge University Press, 2008. Implanted Antennas in Medical Wireless Communications, Morgan & Claypool Publishers, 2006. Electromagnetic Optimization by Genetic Algorithms, Wiley-Interscience, 1999. Impedance Boundary Conditions in Electromagnetics, CRC Press, 1995. Design of Analog CMOS Integrated Circuits, McGraw Hill, 2000. Design of Integrated Circuits For Optical Communications, McGraw Hill, 2002. Fundamentals of Microelectronics, Wiley, 2008. Fundamentals of Microelectronics, 2nd Edition, Wiley, 2013. Monolithic Phase-locking in High Performance Systems, IEEE Press, 1996. Phase-locking in High Performance Systems, Wiley-IEEE Press, 2003. Principles of Data Conversion System Designs, Wiley-IEEE Press, 1994. RF Microelectronics, Prentice Hall, 1998. RF Microelectronics, 2nd Edition, Prentice Hall, 2011. Communications, Computation, Control and Signal Processing, Kluwer Academic Publishers, 1997. Discrete Neural Computation: A Theoretical Foundation, Prentice Hall, NJ, 1995. Theoretical Advances in Neural Computation ans Learning, Kluwer Academic Publishers, 1994. Algorithmic Aspects of VLSI Layout, World Scientific Pub Co Inc., 1994. Adaptation Learning and Optimization Over Networks, Now Publishers Inc., 2014. Adaptive Filters, Wiley-IEEE Press, 2008. Fundamentals of Adaptive Filtering,Wiley-IEEE Press, NJ, 2003. Fast Reliable Algorithms for Matrices with Structures, Society for Industrial and Applied Mathematics, 1987. Indefinite-Quadratic Estimation and Control, Society for Industrial and Applied Mathematics, 1987. Multimedia over IP and Wireless Networks, Academic Press, 2007. MPEG-4 Beyond Conventional Video Coding, Morgan & Claypool Publishers, 2006. Convex Optimization, Cambridge University Press, 2004. Handbook of Semiconductor Nanostructures and Nanodevices, American Scientific Publishers, 2005. Silicon Molecular Beam Epitaxy, Symposium Proceedings Vol. 220, Materials Research Society, 1991. Visibility-based Optimal Path and Motion Planning, Studies in Computational Intelligence, Vol. 568, Springer, 2015. Nonlinear Networks Theory and Analysis, IEEE Press, 1975. Detection and Estimation for Communication and Radar Systems, IEEE Press, 2013. High Performance VLSI Signal Processing: Innovative Architectures and Algorithms, vols. 1 and 2, IEEE Press, 1998.